We love getting ready for Christmas! The best way to do that in New Braunfels is to make sure you attend the 2018 Wassailfest which begins at 6pm Thursday December 6. Wassailfest began ten years ago as a festival to catch the Holiday Spirit and grows bigger and stronger each year. 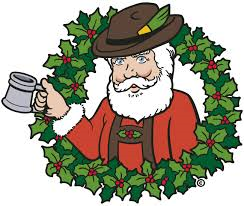 There will be entertainment in the streets and inside the shops, while you stroll door to door tasting and judging the Wassail. The Christmas downtown lighting glows with over 100,000 lights and the Plaza becomes a fairytale setting, the centuries-olde Christmas carol “Here We Go A-Wassailing” takes on a new and special meaning. The drink itself means "to your health". Annually merchants go to great lengths preparing their special wassail, enough to serve several thousand guests. Awards based on people’s choice voting are presented to the top three “wassail-meisters”. This event truly captures the magic of Christmas and is a wonderful family adventure. Hope to see you downtown New Braunfels on the 6th!